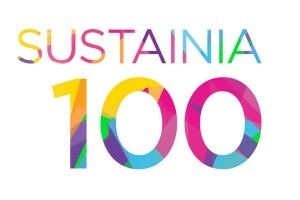 Only 100 solutions from 10 sectors – in Education, Energy, Health, Cities, Resources, Buildings, Food, Fashion, Transportation and Information Technology – were selected from around the world for Sustainia 100 2015, in consideration for the Sustainia Award. Focused on identifying and advocating readily available, financially viable and scalable innovations, the Sustainia 100 gives investors, business leaders, policy makers and consumers insight into the most promising solutions within their respective fields. Sustainia brings together an international alliance of partners (companies, NGOs, foundations and thought leaders) that work together across sectors to accelerate sustainable transformation of industries and lifestyles. Arnold Schwarzenegger, Honorary Chair of Sustainia, heads the selection committee and partners include the UN Global Impact, Connect4Climate, Regions20, WWF, DNV GL, Realdania, Storebrand and International Federation of Housing and Planning. “We look forward to the announcement of the final winner. However, just having our nutrient recovery solution selected from the thousands of solutions submitted from around the world for consideration is an honor, and testament to the work Ostara is doing to advance a sustainable solution to resource recovery,” says Abrary. The Sustainia 100 team is carrying out extensive research to ensure quality of the solutions as well as geographic and sector diversity, and in consultation with an independent advisory board, the solutions are being carefully vetted and selected using five evaluation criteria: readily available, scalable, financially viable, improving quality of life and creating a positive environmental impact. The winner of the Sustainia Award, which will be given to one of the selected 100 solutions, will be announced in Paris on December 6, 2015. Vancouver-based Ostara is a leading global provider of nutrient management solutions. The company’s technology recovers phosphorus and nitrogen from treated wastewater and transforms them into a premium, eco-friendly fertilizer, Crystal Green®. The process greatly reduces nutrient management costs and helps treatment plants meet increasingly stringent discharge limits while improving operating reliability. Crystal Green is an enhanced efficiency fertilizer comprised of phosphorus, nitrogen and magnesium (5-28-0 10% Mg). Its unique plant-activated mode of action improves crop yields, enhances turf performance and significantly reduces the risk of leaching and runoff, thus protecting local waterways from nutrient pollution. Ostara operates nutrient recovery facilities throughout North America and Europe. For more information visit www.ostara.com and www.crystalgreen.com.